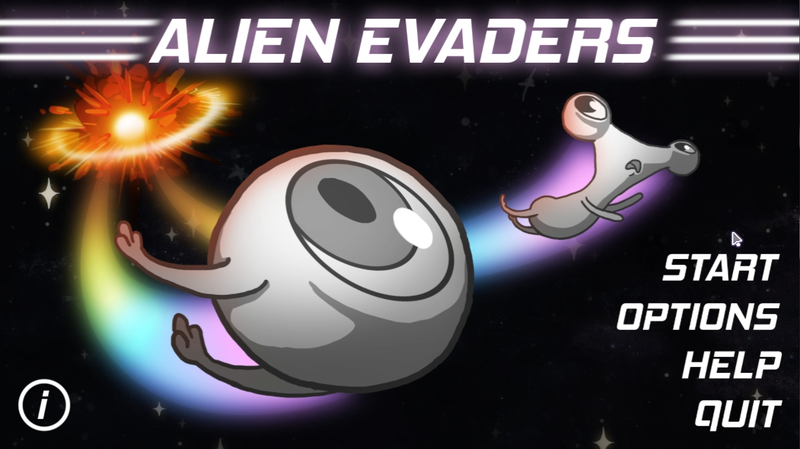 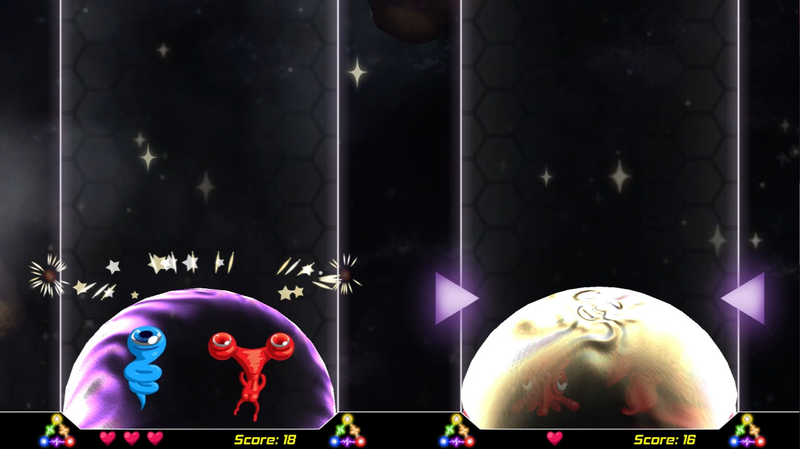 Alien Evaders is a self designed, developed, and published game. 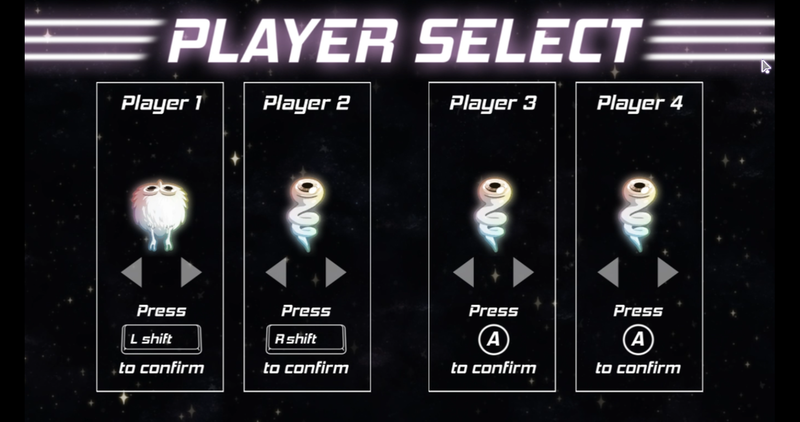 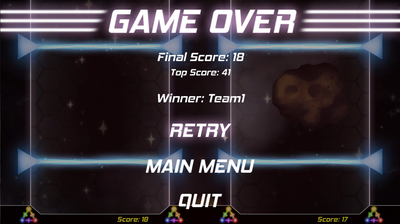 I worked with a programmer and a few other designers to originally design Alien Evaders in a 48 hour game jam. The jam game was redesigned visually from the ground up into the current vision. 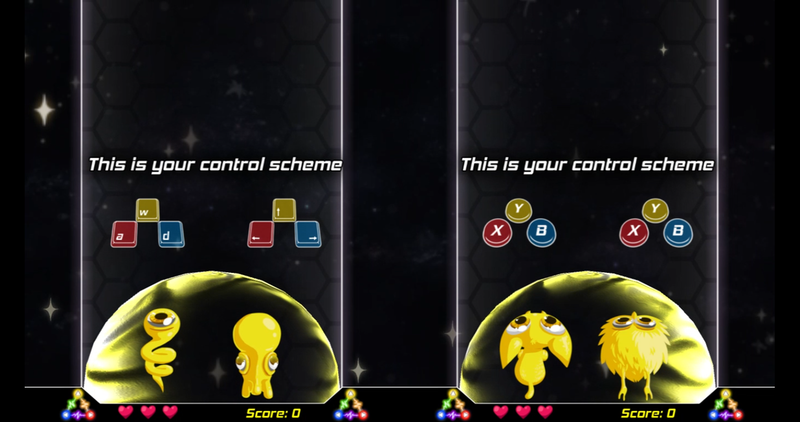 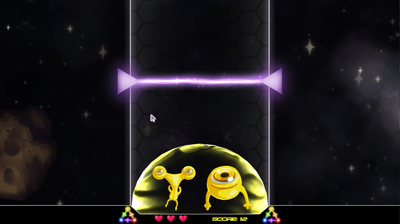 It's a mashup of arcade style co-op play, with endless running, and color matching. 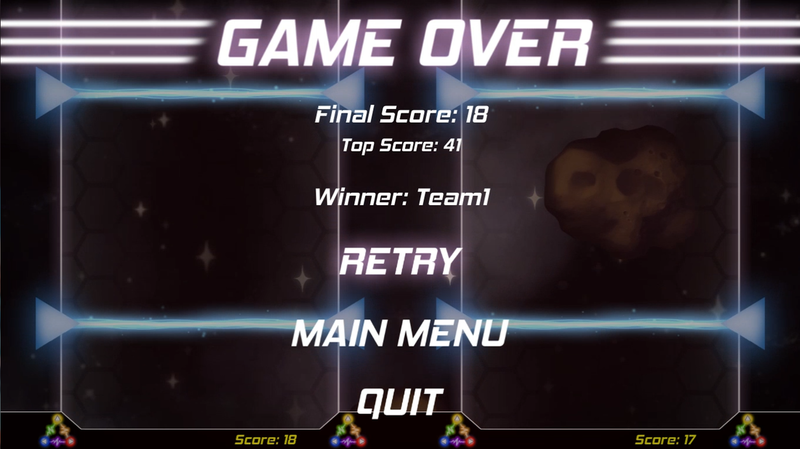 You play as an alien capable of manipulating half of your team's shield color. 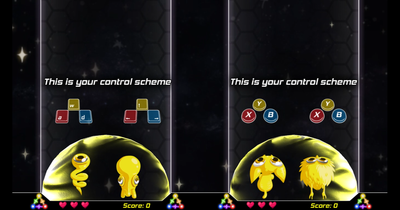 Your partner alien contributes the other half of the color. 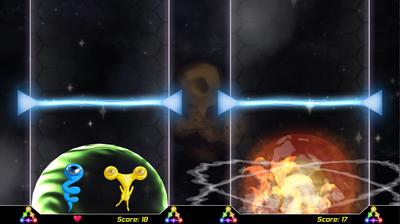 You must coordinate together to combine your colors to match the colors of oncoming lasers and safely pass. 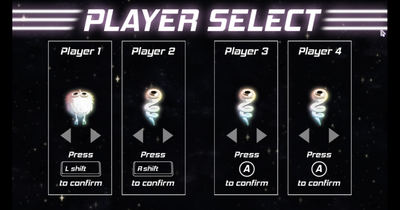 Learn more on our indiedb and our itch.io page where you can download it for free!